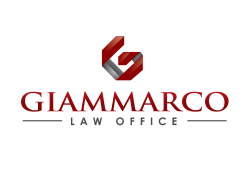 The lawyers at Giammarco Law Office PLLC understand that families rarely fit into the perfect, "Leave It to Beaver" model envisioned by our predecessors. Families evolve, and we are well aware of this. Clients going through divorce or custody proceedings need someone they can rely on and someone who will protect their interests no matter what. Our clients quickly come to appreciate our compassion and pragmatism, while opposing parties quickly learn to respect our strength and resolve. The range and complexity of legal issues in a divorce can be overwhelming: spousal support, child support, custody and access, division of family assets, sale of the family home, division of pension plans and much more. To advance our clients' interests, we bring years of experience and expertise to all these matters. Developments down the road can also cause more trouble: visitation schedules over long weekends and holidays, changes to spousal support in the wake of a new job or the impact of a custodial parent remarrying and moving to a new state. We stand by our clients for the long term and continue to advise and assist them for as long as they need us. Above all, our aim is to protect our clients’ interests by helping to limit the financial and emotional costs of their family dispute. We have proven expertise at all levels of court, but we seek first to resolve issues through negotiation and mediation. To learn more about our client-first approach to family law, call or email us today.